While face-up on the field, this card cannot be banished. Each time a Dinosaur-Type monster(s) is sent to your Graveyard, place 2 counters on this card. 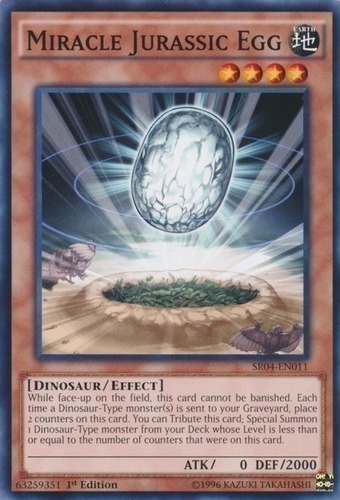 You can Tribute this card; Special Summon 1 Dinosaur-Type monster from your Deck whose Level is less than or equal to the number of counters that were on this card.